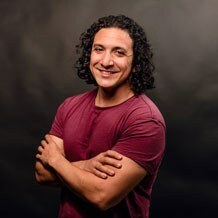 Robert Santana is a Registered Dietitian, Starting Strength Coach, and Head Nutrition Coach for Starting Strength Online Coaching who coaches clients in the greater Phoenix area. For the past 17 years Robert has developed and refined his knowledge, skills, and experiences through both higher education and practical experience. Robert holds both a Bachelor of Science in Dietetics and Master of Science in Kinesiology. He has extensive experiences as a lecturer, nutrition coach, strength coach, and competitive lifter. He built upon his foundational knowledge by providing effective nutrition coaching in conjunction with teaching and coaching the barbell lifts through application of the Starting Strength model to help clients achieve their performance and/or body composition goals. Robert has worked with a variety of clients both recreational and competitive CrossFitters, strengthlifters, and powerlifters as well as a wide range of clinical populations. Robert’s commitment to helping individuals to improve their quality of life by optimizing their nutritional status while getting stronger under the barbell. His commitment and passion is to help develop stronger and healthier human beings over the long haul.